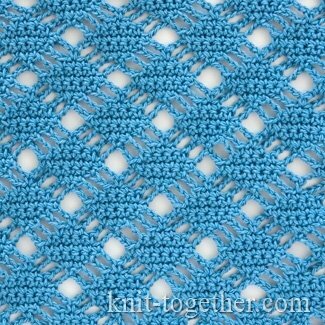 Lace Rhombus - it’s easy crochet stitch pattern, which can make even beginner crocheters. 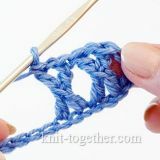 In this pattern we used single crochet stitches and chain stitches. 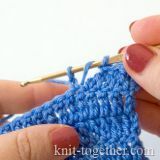 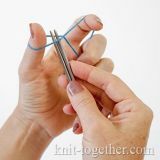 Make this pattern easier if you'll be using a chart, as the description is too long and exhausting. 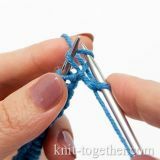 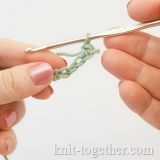 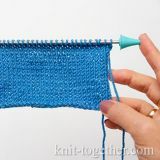 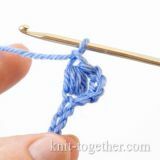 For a swatch make chain stitches a multiple of 9, plus 5 chains. 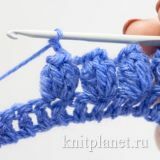 9 row: 6 chains, 7 single crochet (five of them in five loops of the previous row and two in the neighboring chains), 5 chains *, 7 single crochet (five of them in five loops of the previous row and two in the neighboring chains), 2 chains, 1 single crochet in last chain of the previous row.